On Oct. 25, SAP NS2 will be hosting its 5th Annual Solutions Summit. All are invited to encounter the “Wave of Change” event, with insight from a panel of subject matter experts. 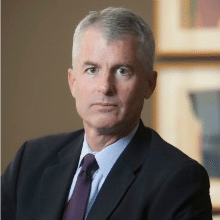 Condoleezza Rice, former secretary of state, will deliver the keynote address, and Philip Mudd, a former FBI and CIA senior official, will show the audience what a modern-day threat brief looks like. In addition, Executive Assistant Director of the National Security Branch with the FBI Michael Steinbach and Vice President of Amazon Web Services Worldwide Public Sector Teresa Carlson will provide insights through panel discussions. Additional details for the Solutions Summit can be found on the event website. Date and Time: Oct. 25, 2016, 8 a.m.-1 p.m.